Isn't it amazing how life changes from the first dance. Life is a continuous dance :) Blessings! It is, it is! Thank you for stopping by, Joanne! Rachel - I just added a "disclaimer" on this one :) I wrote an entirely different post for the 5 minutes but it just didn't feel write.... Soooo I deleted it all and started fresh for another 5 minutes! I'm glad you enjoyed it! Such a sweet and true picture of how the dance changes....and grows deeper and richer and crazier. Just lovely! Now go get yourself some more coffee . . . so you can dance through the rest of the day. 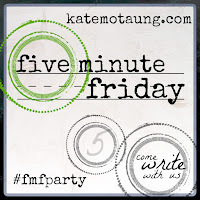 Hi neighbor or at least today on FMF. 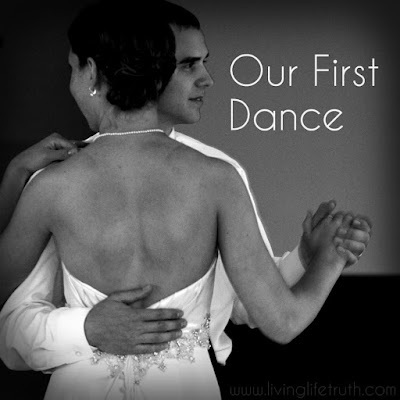 Love that first dance and yes those years get better and better. Get some sleep!!!! Oh I will do my best, Deborah :) Thank you for stopping over! Awww Cute post! Those are beautiful memories. Have a wonderful weekend!